You can earn a very nice living selling Tupperware. This company is well-known and respected having been in business for over 75 years. Their kitchen products come with a life-time warranty, this helps counter-balance their price when compared to some of the cheaper options available at chain retailers. Their kitchen product line is frequently updated to incorporate the latest trends in colors. They have also added several pantry items over the last few years. Compensation: 25% with incentive bonuses for meeting sales thresholds. Management opportunities are also available. New products may be purchased at a 35% discount. Start-Up Costs: The current business kit is $99 and includes over $350 worth of business materials and product samples. Company Website: The first month is free. It is $7.95 per month thereafter. Quotas to Maintain Active Status: $250 in Retail Value every four months. If you miss your quota during the quarter, there is a $10 reactivation fee. Hostess Rewards: Tupperware has a great hostess compensation plan. 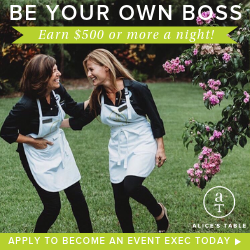 Your hostess can earn free product credit and other gifts for meeting sales thresholds. These rewards also change monthly. This encourages repeat hostesses as they can earn different products with each party they hold. Tupperware also lays out several different types of in-home parties for their reps. Your hostesses can choose from the several party types available. Online parties are also available, though hosts must earn over $175 in sales before they start accumulating rewards. The rewards for online parties are limited to free product credit. The monthly hostess bonuses do not apply to online parties.